If you’re looking for a complete review of the PetFusion Ultimate Dog Bed, I’ve got your back! If you’ve read our guide to buying the best dog beds, you know it’s one of my top picks across many categories. 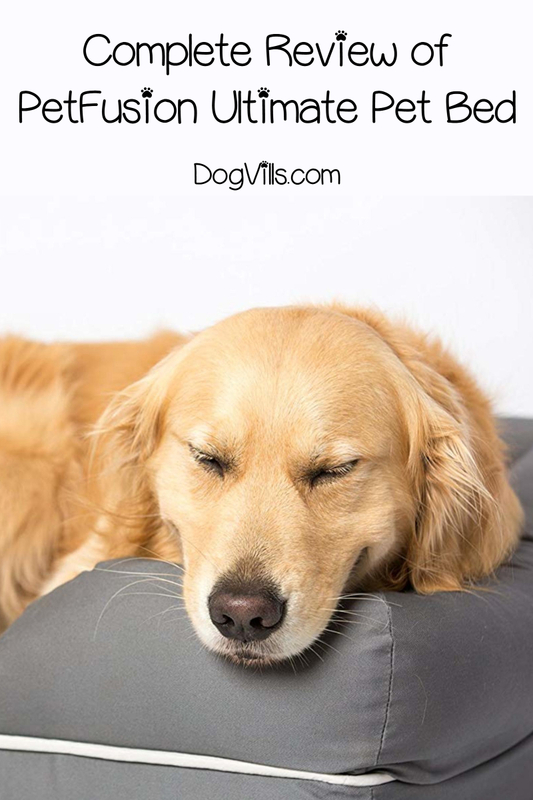 Read on to find out why I often recommend this bed and find out if it’s right for your dog! 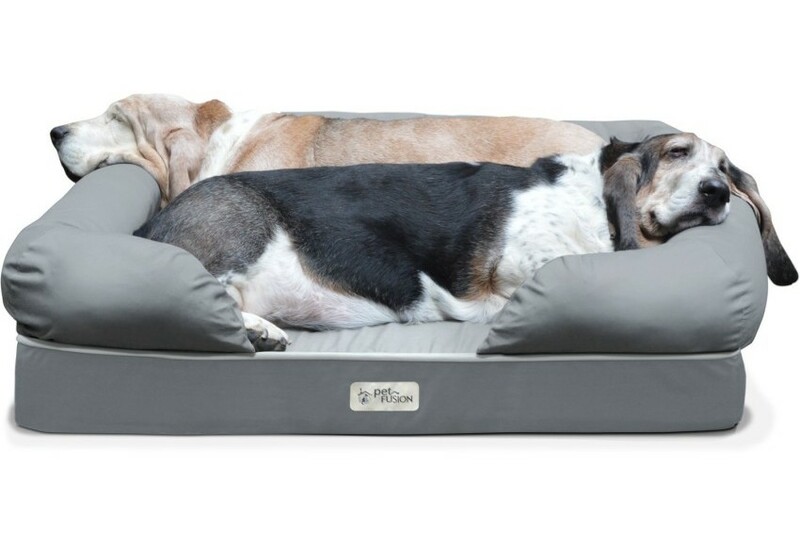 First, let’s be clear about which PetFusion bed I’m talking about, because they have a couple of them. While some of the others are fantastic, my favorite (and the one we’re discussing) is this one. Despite the rather long title on Amazon, it’s actually just called the PetFusion Ultimate Memory Foam Dog Bed. Now that we have that cleared up, let’s talk about this fantastic bed’s features, pros and cons, and whether it’s right for your dog! Since we’re going to talk more about the features in the “pros and cons” section, I’m just going to give you a quick rundown here. The easiest way to discuss sizes is to just give you a table that explains them, so check that out below. X-Large 44×34″, about 150 Large breeds like the Bloodhound and the Akita. Note that while it looks like it doesn’t come in medium, the large is actually medium-sized, while the XL is more of an L, and the Jumbo is really an XL. Don’t ask me to explain why they do that. I notice it with a lot of dog bed brands. It probably has to do with which terms people search for most often. For the weight limits, each bed can hold a little more than the listed pounds. For example, PetFusion says “50+,” which basically means it can handle, say, 54 lbs. In this case, the “+” means “and then some.” It doesn’t mean “and up,” so don’t assume the small would hold your 75lb pooch! Okay, on to the basic features that you can expect with any size PetFusion Ultimate dog bed. Check out the video below for a good overview of PetFusion Ultimate pet bed features, then read over the bullet-point list. Generously filled bolsters are made from recycled materials. Cover is both water and tear resistant. It’s also removable and machine-washable. Non-skid bottom to keep bed from slipping all over. Comes with a 24-month warranty (see more on this in both the pros and the cons). Now let’s really dig into those features and see which ones count in the “pro” column and which don’t quite live up to the hype. The entire bed is one solid piece of memory foam. Now, I usually like to see multiple layers (base, middle, and then maybe a nice gel top), but with PetFusion, one solid “base” piece works well. See, in those other beds, the “base” is usually made up of substandard, rock-hard memory foam. It’s okay because it’s not the part your dog sleeps on. PetFusion, on the other hand, uses high-quality premium medium-firmness foam, so one solid piece isn’t an issue. PetFusion claims to have water and tear resistant covers, and they stand by that. More often than not, I find a great bed that ends up having a substandard cover. Again, that’s not the case here. While there are a few customers complaining about torn covers or shoddy zippers, it’s a minuscule number compared to the people who haven’t had an issue. Keep in mind, though, that “resistant” is not the same thing as “proof.” You can’t let your dog dig at the bed with razor-sharp claws and expect it to remain intact. As a dog mom to a pit mix with sensitive skin, everything that touches her fur has to be safe and non-irritating. The materials used throughout the bed pass strict European REACH safety standards. The cover fabric is also certified as ‘skin contact safe’. Europe has much higher safety standards than the US in many cases, so I’m comfortable buying anything that passes REACH standards. Perhaps one of the biggest “pros,” the PetFusion Ultimate Memory Foam Dog Bed is actually pretty affordable, compared to beds of similar quality. For example, on the PetFusion website, the Jumbo runs about $240, while the smallest size will cost you under $75. Expect to pay roughly the same through other retailers. By comparison, the BuddyRest Romeo bed, which has a similar bolster style, is about twice that price. Honestly, there aren’t a whole lot of cons. This is one of the highest-rated dog beds on both Amazon and Chewy. Still, I like to be balanced, and there are a few things that I personally would change. I’m usually on a tight budget, so anything that costs more than $100 needs to have a good warranty. While the PetFusion bed does have a 24-month warranty, it only covers manufacturer defects. I think it’s important to understand that, because sometimes we see the word “warranty” and assume it covers anything that goes wrong with the product. I don’t know that this is a con so much as a “make sure you know…” The bolsters (aka the arms and head rest) are NOT made of memory foam. While they do use recycled materials, it’s still basically just polyfill (polyester mixed with a bit of cotton). PetFusion beds are designed in the US, but they’re manufactured in China. Now, as the company explains, that doesn’t always have to be a bad thing. Since the materials still pass REACH standards, this may not be a huge “con.” However, for those who prefer American-made products, it could be an issue. Now that you know the basics of the PetFusion Ultimate Memory Foam dog bed, let’s talk about how to decide if it’s the right one for your dog. I’ve recommended the PetFusion Ultimate Pet Bed many times when talking about buying the best dog beds, so obviously I think it’s a good pick. Bottom line, it’s a great pick for anyone who wants an affordable dog bed, especially if you prefer a sofa-style bolster bed. It’s also ideal for who need something super comfy and supportive for aching joints, making it great for seniors. I think the only time I wouldn’t recommend it is if you have an aggressive chewer, but to be fair, very few beds can hold up to sharp teeth! Only a handful of brands make truly chew-resistant or chew-proof dog beds. If you think this is the right bed for you, read on for where to buy it! 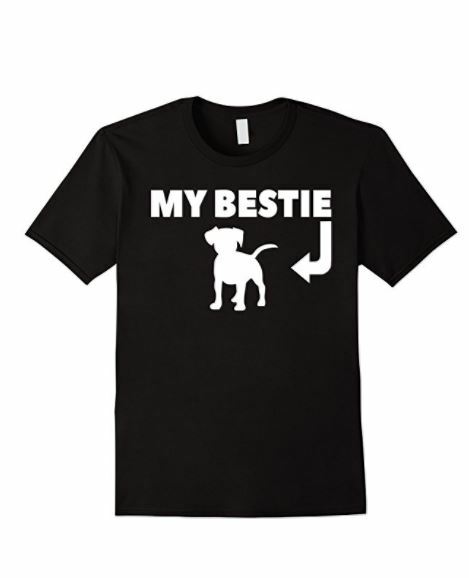 When it comes to all pet-related products, I usually turn to one of two retailers: Amazon or Chewy. PetFusion has an Amazon storefront where they sell most of their products for about the same price as on their own website. Plus, all products are Prime-eligible. The PetFusion Ultimate Dog Bed comes in three colors on Amazon: Brown, Sandstone (which is like a beige), and Slate Grey (which is more like a dark grey). Chewy is another great place to shop for pet products, including beds. The customer service is probably the best in the industry. I’ve never, ever had an issue with returns or refunds. They offer free shipping on all orders $49+, and in just about all cases your order arrives in 1-2 days. The PetFusion bed only comes in two colors on Chewy: brown and grey. Buy the PetFusion Dog Bed on Chewy. To sum up this PetFusion Ultimate Pet Bed review, I highly recommend it for just about any dog (except those that chew everything in sight). Honestly, you really can’t go wrong with it! Do you have anything to add to my PetFusion Ultimate dog bed review? Share below!